Bigger fun with your favourite magical friend. Four funny stories in each book, all with Korky Paul’s genius drawings. Winnie is back, and now her books are a little bit bigger. In fact, they’re stuffed with enough crazy antics to make your bookshelf buckle. Time to improve your solo reading while you fall off your chair laughing. 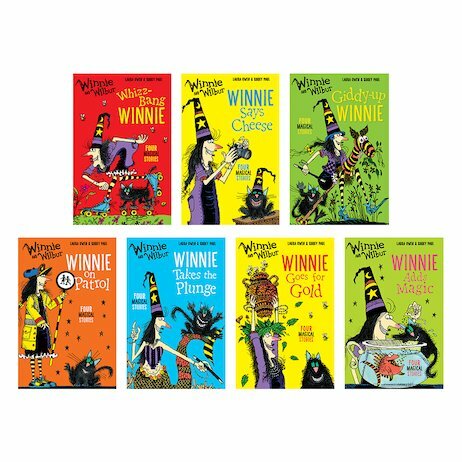 Because Winnie’s crazy magic usually turns out as wonky as her crooked old hat!